I had the pleasure of creating the book cover for Merlin and the Pendragons by podcaster and author Chris Moody. We started with a castle as all fantasy stories do right? 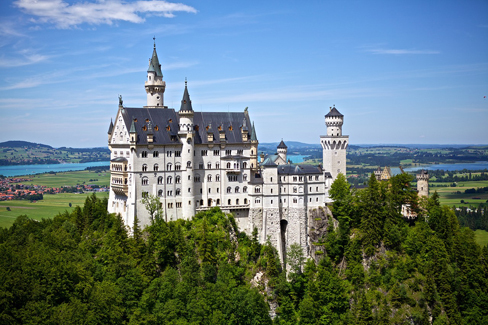 He had a certian nineteenth-century Romanesque Revival palace in mind called the Neuschwanstein Castle located on a hill over the village of Hohenschwangau near Füssen in southwest Bavaria, Germany. So I went digging and found a great picture of it on Pixelbay that was in the Public Domain which means we could legally use it for commercial purposes. I left the color of the photo alone and found a medieval fantasy looking font. I also tried seeing what the cover would look like without the medallion. It looked alright but left something to be desired. Chris thought so to. It wasn't there yet. Then I went and looked at book covers of the other stories in The Chronos Files for style inspiration. The medallion you see above the author name I constructed from scratch in Adobe Photoshop. I grabbed the teal color from one of the other Chronos Files books and then worked on giving it a kind of glowing effect. I added bevels to the metal parts and kept adding layers until all the parts were there. Then I made a new layer in photoshop and splashed a teal to white gradient from bottom to top on it and changed the layer style to Hue to give the whole image that bright teal look. I also added a teal gradient on the top of the image which faded into zero opacity to brighten up the sky and make the title text stand out more and which also made it clearer and easier to read. I also found a new font that looked similar to the fonts used on some of the other Chronos Files stories. Then it was almost done. Chris mentioned that Amazon would be putting on the Kindle Worlds square logo in the bottom left which might require some things to be moved around. So I copied that off of another cover and temporarily put it on our cover. 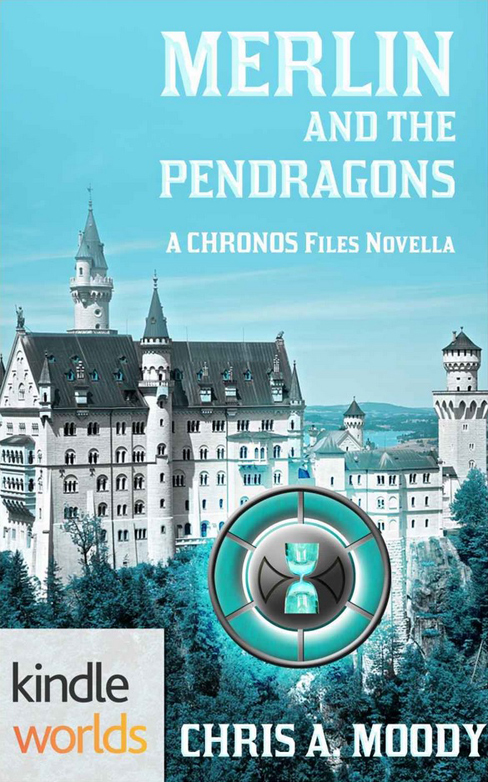 It showed me right away that Chris's author name needed to be moved to the right and that the medallion needed to be smaller and moved up and to the right. Both would have been partially covered by the square Kindle Worlds logo. Then it was done! This was a really fun cover to work on and I gave Chris a killer price. I'd love to do the same for you if you find yourself in need of a book cover for your story. Check out my hire me page for prices. You'll find that they're incredibly reasonable if not the cheapest around. I've been on Chris's cool author interview podcast called PodioMedia Chat a couple times so he got a really steep discount as my way of giving back to the podcast community. If you see my prices and still have trouble coming up with some change I've also been known to trade for covers. Shoot me a line and I'm sure we can work out a deal. I'm always in need of people to read my stories and give me feedback and edits! As always, thanks for stopping by.